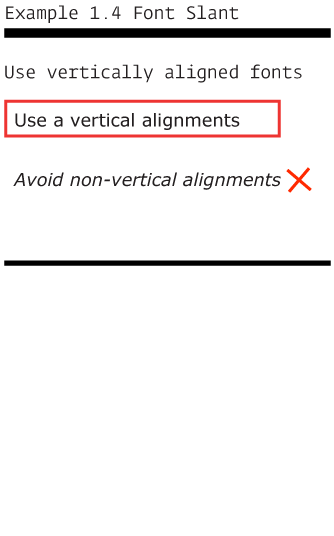 Use vertically oriented letters; also know as Roman letters. Slanted letters are often named italic. It is harder for people with low-vision to discern the letterforms when they are angled or slanted. Traditionally slanted fonts are used for emphasis. In this case we recommend the use of bold weights since they are more easily perceived than italic.